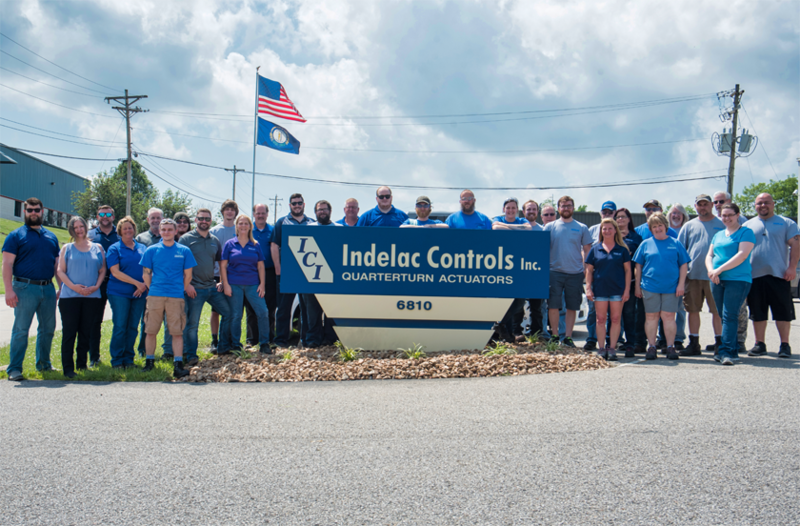 About Indelac Controls | Indelac Controls, Inc.
At Indelac, we are one big, motivated family, and our family is dedicated to advancing the technology we use and our employees’ expertise in a constant effort to better serve our customers’ automation requirements. Our upgraded facility continues to utilize state-of-the-art machinery throughout the manufacturing process, assuring the highest possible quality using American-made products. Indelac’s main goal as an actuator company and electric actuator manufacturer is to design, develop and manufacture a high-quality electric actuator at a competitive price while maintaining “on time” delivery. ICI’s product line consists of electric actuators with torques ranging from 100 lb-in (11 Nm) output torque through 27,300 lb-in (3 084 Nm) output torque. We offer an array of controls for the most mundane on/off control to sophisticated process control applications. We are looking to become more energy efficient as well as improve our production process to achieve lean production. A sustainable future is a concept taken very seriously here at Indelac, and we are doing everything we can to fulfill this objective while constantly improving our quality. Finally, we are aiming to increase our worldwide exposure and earn the international certifications that would be required. Indelac Controls, Inc.'s electric actuators are American made. Our manufacturing takes place in Florence, KY, USA. We own our patterns, dies, molds, tooling, machinery and equipment. We purchase our castings raw and our steel by the bar from American suppliers. Our motors, gaskets, bearing, nuts, bolts and screws are procured from companies in the United States. 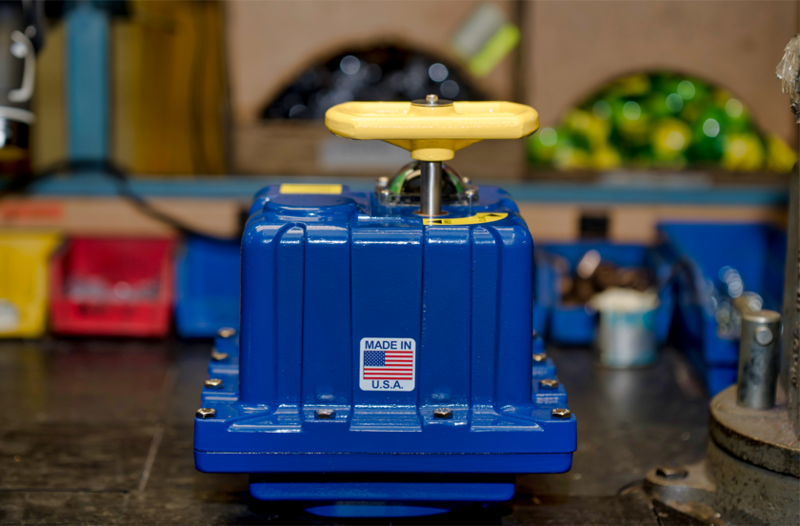 Our parts are machined and our actuators are assembled, tested and calibrated in our own factory here in the USA. Yes, every ICI electric actuator is American made, not because it sounds good or it may be the deciding factor on a project we are quoting, but because of who we are and where we came from and because we are free to make that choice. Our fore fathers and brothers and sisters today have and are now giving up their lives so we can be free. ICI actuators are American made because it is one small way in which we can participate in supporting our country and our heritage. ICI’s management is committed to conformance to corporate quality policy and to act as a leader in our efforts to meet our quality goals. Our quality policy is to manufacture electric actuators that our customers recognize to be of high quality at a price that is fair and reasonable. These operational standards, specifications, rejection parameters, certifications, testing and inspection procedures will act as the guidelines we follow to manufacture our products. Each employee plays a vital role in ICI’s success. Everyone realizes their importance and takes great pride in the products we manufacture. Here at ICI our people are customer oriented, and our products are application centric. Utilizing experience gleaned from over 30 years of manufacturing electric actuators, our team of experts will help you choose the automation solution that makes sense long-term. We take pride in providing uncompromised quality, backed by good people, delivered on time, at a fair price.